Tuna, Marlin, Sharks & Swordfish! Pictured Right is one of South Jersey's largest and nicest offshore fishing boats, the LOW PROFILE, our beautiful 55' Custon Carolina NJ Charter Boat The crew of Over Under & LOW PROFILE specialize in Tuna and Marlin fishing year round from the Bahamas to NC and the NE Canyons. 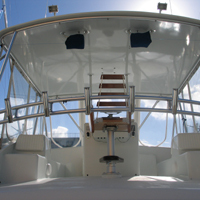 Over Under Adventures is widely recognized as one of the leading Canyon Fishing charter companies and operates several boats in NJ, MD, NC and down into FL and the Bahamas as well. Our crews fish year round for tuna, billfish, sharks and swordfish, as well as compete in many major fishing tournaments. OU has earned the reputation for going the extra mile to make sure we do everything possible to put you on the fish and we strive to keep our equipment in top notch condition. Come for a Fishing Trip on LOW PROFILE and see for yourself! 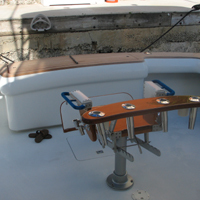 We hope you'll give us a call for your next NJ Fishing Charter! 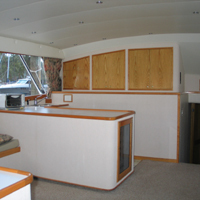 55' LOW PROFILE - Built in 2000 by GWALTNEY Boats in NC. Twin CAT 800hp Motors, Comfortable Air Conditioned Salon and all the bells and whistles you'd expect on a Sportfish of this caliber! The perfect NJ OVERNIGHT CANYON Charter Boat. Get more Low Profile Charters info by following us here! 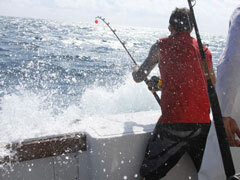 Over Under Adventures specializes in Big Game Canyon Tuna and Marlin Fishing. Year round, the crew of LOW PROFILE battles monster tuna and blue marlin up and down the east coast. NJ Tuna fishing is as good as it gets in late August through November. 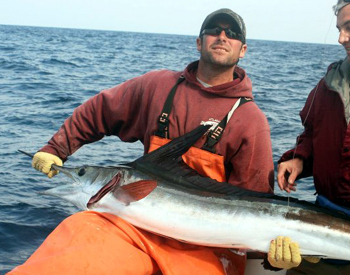 Yellowfin Tuna, Bluefin Tuna, Big Eye Tuna and Longfin Tuna are all caught in the canyons off the NJ coast in the fall. In the summer, LOW PROFILE competes in all major billfish tournaments, such as the Mid Atlantic 500, Ocean City White Marlin Open, Tuna Tournaments, Shark Tournaments, and Overnight Billfish Tournament in Ocean City. When not in NJ, LOW PROFILE is our Hatteras Fishing Charter Boat. 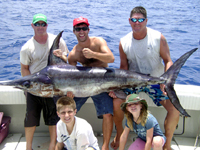 Cape Hatteras offers incredible fishing for yellowfin tuna, marlin, dolphin, and wahoo. We run dedicated Hatteras Bluefin Tuna Trips all winter. We hope you'll join us for a Cape Hatteras Fishing Charter to remember! We offer Avalon Fishing Charters all summer for vacationing families and kids of all ages. Flounder Fishing, Back Bay Fishing, Bluefish, Striped Bass, Sea Bass, and Sharks are all great fun for the whole family. Trips can be as short as a quick two hour Stone Harbor Back Bay Stone Harbor Fishing trip, or upgrade to our 5 hour half day trip out of Avalon NJ. No experience necessary and we have several Stone Harbor and Avalon fishing boats to choose from. Our 19' Back Bay Fishing Boat, to our 48' Sportfish and 21' center consoel are all perfect for a family day out on the water here in Stone Harbor, Avalon, and Sea Isle City. For our Sea Isle City Fishing Trips, we depart from Sunset Pier on 86th St. and the Bay, Sea Isle City. You can also enjoy breakfast, lunch or dinner on the water as well as rent boats for the day. Beginning in Early June we will be fishing offshore for Monster Sharks! Mako Sharks, Threshers, Blue Sharks, and many more are to be had only 30 miles offshore. 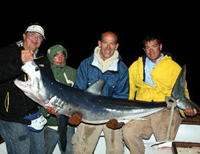 NJ Shark Fishing is usually quite active, but only lasts a few weeks, as the water warms to just the right temperature. The Shark Fishing will begin when the bait (bluefish) move in, and will end, when the water warms in later June and they move offshore. If you want to get out on a great Shark Fishing Charter, June is the time. Give us a shout to set up your NJ Shark Fishing Trip! We also fish the Cape May Shark Tournament. We are available for the Jim's Shark Tournament the weekend of June 19th and would love to fish it. Above: Bluefin Tuna Taken by the OU Crew on LOW PROFILE. 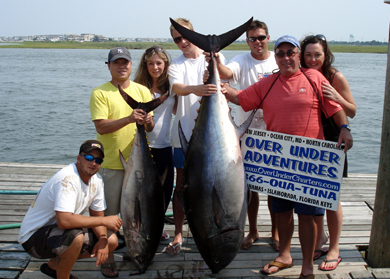 We run specialty Tuna Fishing Trips in both NJ, NC on LOW PROFILE. New Jersey Open Boat trips!! Over Under Adventures runs make up charters weekly out of both the Cape May and Ocean City areas. Please click on the button here to be informed of Make Up Charter Dates. Or check out our web-site for currently scheduled NJ open boat trips here! Book a Winter Fishing Vacation with OU!! OU will be based in Treasure Cay, Abacos year-round! Also, look for us in Cat Island, San Salvador & Rum Cay for giant wahoo this winter. Great Bahamas Fishing Packages available out of both Cat Island and Treasure Cay. Call us to book your next Bahamas Fishing Vacation at 1-866-682-8862! 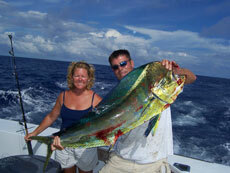 Islamorada provides a wide range of fishing from Offshore, Reef/Wreck Fishing, Back Country and Flats Fishing. And we have the boats to do it all! Great Islamorada Fishing Packages available with the Islander Resort starting at $675/person! Key West provides access to some absolute best fishing in the country. Key West Fishing! 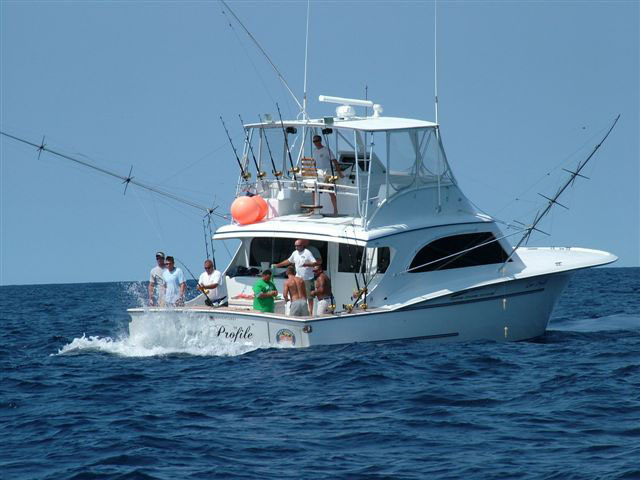 Offshore you will find marlin, sailfish, blackfin tuna, wahoo, king mackerals & dolphin. The surrounding reefs are teeming with grouper, yellowtail snapper, cobia, amberjacks & mutton snapper. 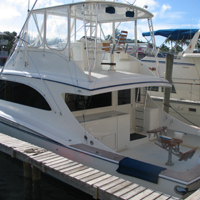 Great Key West Fishing Packages are available with the Doubletree Grand Key Resort starting at $675/person!